NEH funding has helped the National Museum of Wildlife Art preserve its unique collections for future generations. 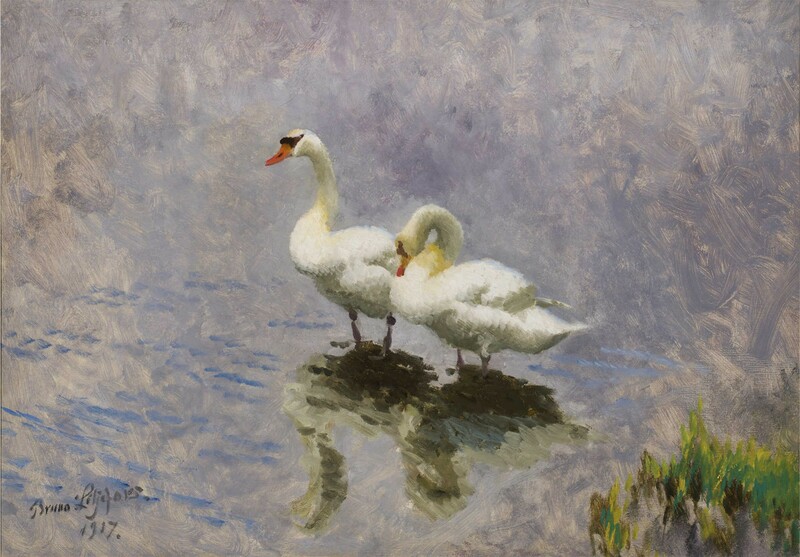 Bruno Liljefors (Swedish, 1860–1939), Swans, 1917. Oil on canvas. 27 3/4 x 39 1/2 inches. JKM Collection®, National Museum of Wildlife Art. The National Museum of Wildlife Art curates and displays paintings, bronze sculptures, drawings, and prints featuring animals, with a focus on those of the Western United States. Its collection boasts more than 5,000 works of art dating as far back as 2500 B.C. and includes great works by Georgia O’Keefe, Edward Hicks, Henri Rousseau, C. M. Russell, Edward Kemeys, Andy Warhol, and Anna Hyatt Huntington. Located near Grand Teton and Yellowstone National Parks and abutting the National Elk Refuge, the museum’s unique focus and location encourage its 65,000–85,000 annual visitors to consider art within the context of natural sciences. At the same time, they are invited to consider how art like Thomas Moran’s western landscapes contributed to the creation of the National Parks System. NEH funding has supported a key tenet of the National Museum of Wildlife Art’s Mission: art preservation. “That’s why we’re here,” says Adam Duncan Harris, Petersen Curator of Art & Research, “certainly to display and interpret, but a significant portion of what we are doing is preserving for future generations.” NEH funding helped the museum update its environmental monitoring equipment, increasing staff efficiency and helping the staff identify and fix climate control problems. Through another grant, the museum hired a consultant to evaluate storage areas and note areas for improvement. As a direct result of this assessment, the museum has received a grant from the Institute of Library and Museum Services to purchase better shelving units for its paintings and works on paper. 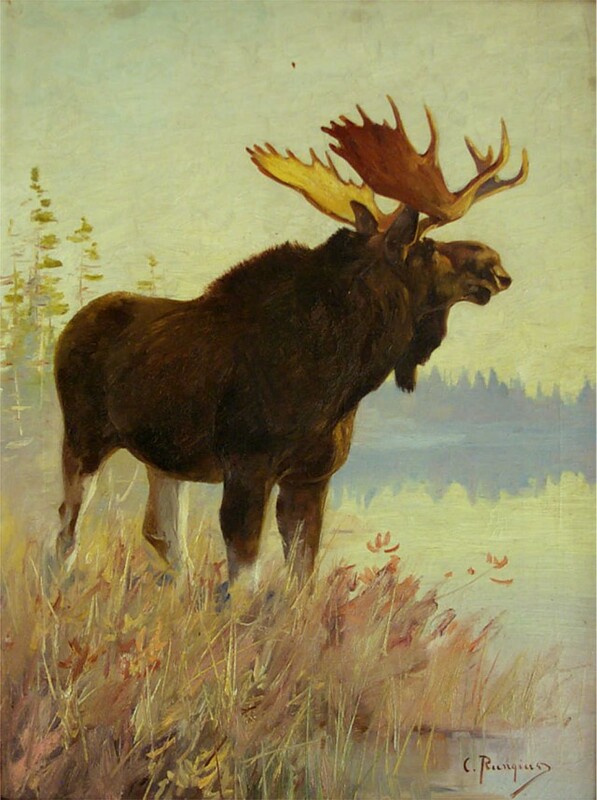 Carl Rungius (American, b. Germany, 1869–1959), Sportsmen's Moose, 1907. Oil on canvas. 28 x 21 inches. Purchased with Funds Generously Donated by the Robert S. and Grayce B. Kerr Foundation, National Museum of Wildlife Art. © Estate of Carl Rungius.